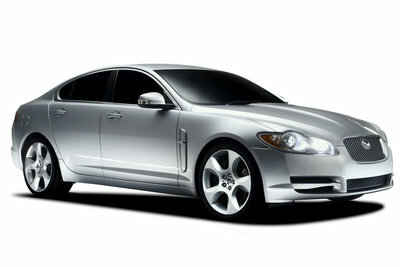 The XF is a new sedan from Jaguar aimed at the middle of the luxury car market. The clean styling is a strong break from traditional Jaguar styling cues. This should appeal to those consumers who found recent Jaguar designs to be a bit stodgy. Derived from the S-type, the XF is roughly the same size as the BMW 5-Series, and Mercedes-Benz E-Class, two of its competitors. The interior of the Jaguar is just as new with a modern instrument panel with less wood and more aluminum. Under the hood, the XF features two variations of Jaguar's V8. A six-speed automatic and rear-wheel-drive complete the driveline.